After a lead-off single by Kyle Schwarber, Albert Almora Jr. entered as a pinch runner in the top of the 10th inning of Game 7 in the 2016 World Series. Heads-up base running enabled him to not only take 2nd base on a deep out to Centefield, but score what turned out to be the winning run on an RBI double by Ben Zobrist. This curse breaking run gave the Cubs the lead in 10th. A lead they would not relinquish as they went on to capture their first World Series Championship in 108 years. This beautiful, full-color framed 8x10 photograph captures the moment Almora slid into home - scoring from 2nd base on a double by World Series MVP Ben Zobrist. 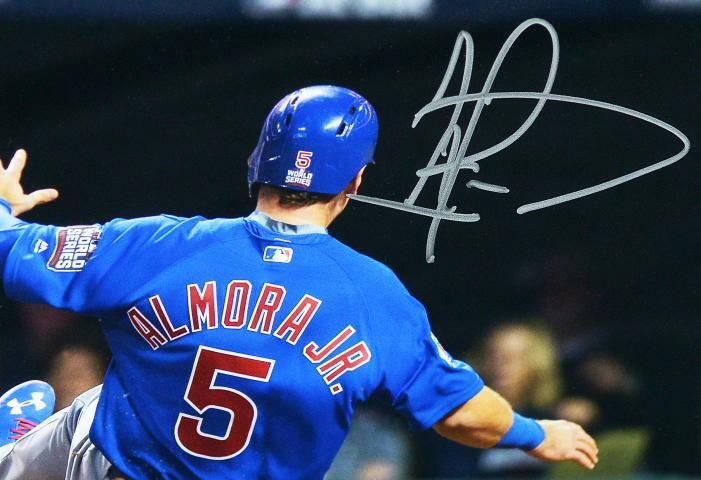 Albert Almora Jr. autographed 2,016 of these prints that are now available to Cubs fans looking for another great reminder of the team's incredible run to history. 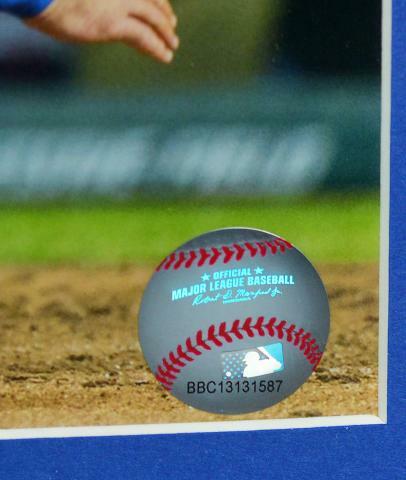 Every print includes full authentication by Beckett Authentication. Due to the unique and limited nature of this offer we must charge your credit card for the full price immediately upon taking your order. This policy ensures we reserve an autographed print for you. We will confirm your order by Email.